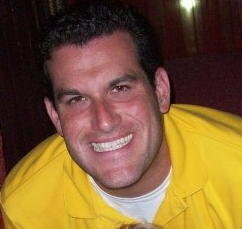 Yisrael is currently the Director of Sulam, Camp Morasha's premier Israel travel program for post-10th graders. He is passionate about teaching and playing basketball. During his High School career, Yisrael was one of the only players to play and start for his Varsity team for 3 years at MTA, where he scored over 1500 points. He was named MVP of all four High School All-Star games as well as MVP of of the 2010 Maccabi Games in Australia, where he led his USA team to a gold medal. Yisrael capped off his High School career being named the Jewish Hoops of America 2011 National Player of the Year. As a highly recruited High School player, Yisrael ultimately chose to play collegiate basketball for Yeshiva University. While playing for the YU Maccabees, he was named 2013-2014 Skyline Conference Rookie of the Year and Skyline Conference Student-Athlete of the Year. Yisrael has continued his involvement in basketball by coaching High School basketball at MTA and giving private lessons. Yisrael is also currently in Yeshiva University's Semicha program in Israel and he teaches in Yeshivat Torat Shraga and Netiv Aryeh. Yogev is the founder and camp director of Step It Up (timetostepitup.com), the premier full summer basketball sleep away camp for modern orthodox boys and girls. Yogev was an Assistant Coach for the Yeshiva University Men's Basketball team from 2013 through 2015. Yogev is also a former D1 NCAA college basketball player and professional player in Israel. Year round, Yogev, lends his expertise in consulting for high school and middle school teams by implementing different schemes, running skills clinics and designing practice plans and full season curriculums. Elliot is currently the Coach of the Yeshiva University Men's Basketball team (yumacs.com). Coach Steinmetz, a 2002 graduate of YU's Sy Syms School of Business who lettered on YU's basketball team for three seasons from 1999-02, is responsible for overseeing all aspects of the Yeshiva University men's basketball program while ensuring the academic success of its student-athletes. He won championships as head coach of the varsity basketball teams at both North Shore Hebrew Academy High School and Hebrew Academy of Nassau County, and coached the gold medal-winning United States 18 and Under Boys Basketball Team for the Maccabiah Games in Israel. In his first three years at the helm, Steinmetz led the men's basketball team to three straight appearances in the Skyline Conference Championships. In his second year, the Maccabees won 12 Skyline games which tied a program record. That same year, Yeshiva hosted and won its first home playoff game since the 2001-02 season. He has coached three players who were named Skyline First Team All-Conference plus one Skyline Rookie of the Year. In 2016-17, Steinmetz was voted the Skyline Conference Coach of the Year by all the coaches in the conference. He led the Maccabees to a 15-10 overall record and 11-5 in Skyline play. The Maccabees clinched a berth in the Skyline Conference Championships for a third straight year. Moshe is currently the Head coach of the DRS JV and HAFTR 6th Grade Basketball teams. He is also the Director of Special Programming at the SAFE Foundation and teaches Life Skills courses at Magen David Yeshiva and North Shore High School. Moshe has led community basketball clinics since 2011 for boys from kindergarten through 12th grade. These clinics focused on teaching the fundamentals of the game and social skill building through sports. During his playing career, Moshe started for both HAFTR and DRS and was ranked #22 on Long Island's list of best High School Basketball players. Michael is in his 11th year working at SAR High School as the JV Boys Basketball Coach. He is also their Director of College Counseling. In his ten seasons coaching JV, his team has won the league championship (2012), made it to two other championship games (2015, 2016), and reached the semi-final round on three separate occasions (2010, 2013, 2014). Additionally, every summer since 2012, Michael has worked as the Head Counselor at Westchester Summer Day. He is a two-time graduate of NYU where he received both his bachelor's and master's degrees. Michael originally hails from Hollywood, Florida, and is an alumnus of the Hillel Community Day School in North Miami Beach. Rabbi Andrew Israeli is a member of the Talmud Faculty in Frisch. He graduated from Yeshiva College in 2013 with a degree in Psychology. In 2015, he completed his masters degree from the Azrieli School of Jewish Education and Administration. Rabbi Israeli graduated from Kushner High School, where he was the captain of the Varsity basketball team. During the summers, Rabbi Israeli serves on the administration of NCSY Kollel and is the Director of Recruitment. He spent two years learning in the Gruss Kollel on the Yeshiva University campus in Jerusalem while working at Yeshivat Torat Shraga. Rabbi Israeli completed his smicha from RIETS in 2016.